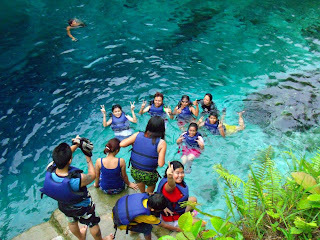 Whenever I hear "Surigao", the Enchanted River is the first place that comes into my mind. No wonder because it is one of the known tourist spots in Surigao del Sur and I am happy that I finally visited this enchanting place. 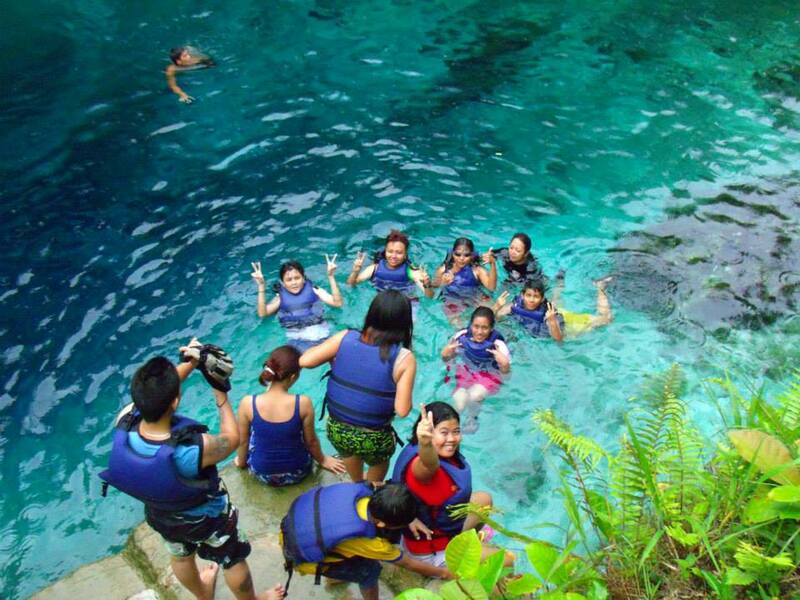 Enchanted River is a highlight must-see attraction of Hinatuan, Surigao del Sur mainly in Brgy. Talisay. Many tourists have been captivated by its amazing water with crystal clear bondi blue color. Wherein visitors can witness varieties of fishes with different colors that adds to its attraction. By simply having a quick glance of the horizon of Enchanted River, you will be speechless and leaving you breathless by its beauty. The water is tempting for anyone to dive and swim around. You can even wear a life vest so you can plunge to the cool water anytime you want without the fear of drowning. You can also rent their man-made goggles which are more visible than the expensive goggles you have. What to Do in Enchanted River? 1. Entrance fee is 30php and you can enjoy unlimited swimming and diving into the river. 2. Open Cottages price range from 100php-300php where you can spend your breakfast and lunch. 3. Life vests are available for 30php/hour rental. Good for those who don't know how to swim (like me! haha). 4. Goggles can be rented for 30php/use. Good for those who forgot to bring their own goggles and for you to view the underworld of Enchanted River. 5. Fish feeding happens during 12NN-1PM wherein a staff of Enchanted River will feed the fishes with certain fish food. All visitors having a great time with the waters of river are requested to clear the river first and others are welcome to witness the feeding. A special fish feeding happens at 3PM where you can feed the fish with certain amount of payment (just inquire to their office). 6. River hopping or river cruising is also available which can accommodate 5 persons per boat for only 150php. So, are you excited to visit Enchanted River one of these days? You should! yun oh mag advertiser na BORACAY BEACH ! Wow! Ang linis nang tubig!